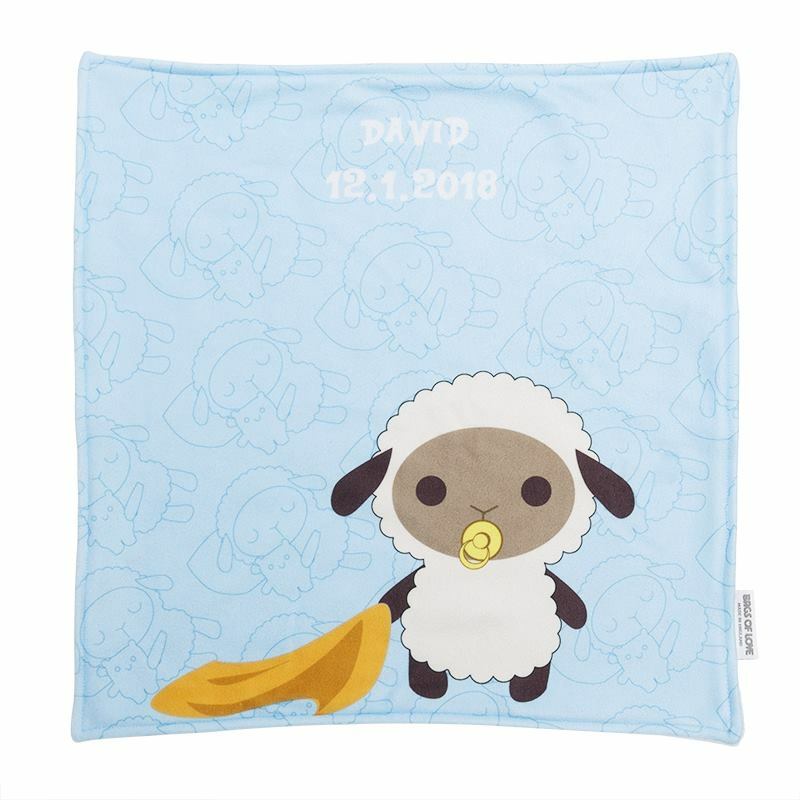 Your personalised comfort blanket is such a special memento and useful accessory for both mother and baby. Made from cuddly soft 285gsm fleece, they're the ultimate way to keep your little one warm and feeling safe. Choose from three cute design styles and personalise the text to state your baby's name, date of birth or another sweet message. Handmade by our expert seamstresses, your baby comfort blankets are a wonderful gift, made with love and care. Using a specialist printing process that fuses the ink deep into the fleecy fibres, we can guarantee a clear, vibrant and permanent print on all of your personalised blankets for babies. Choose from three adorable patterns, all featuring a cute cartoon sheep; 'Night Night', 'Sleepy Farm' and 'Sweet Dreams'. You get to replace the text in the selected print area, perfect for stating the baby's name and date of birth. Not only is this a lovely design, but it helps to identify your child if they get lost with their blanket. Cut to size and sewn together with a second piece of fabric in your choice of backing colour, it's a thick, warm, snuggly comfort blanket. Choose from three ready-designed patterns to add your child's name to and create personalised blankets for babies. We print the design onto the front, along with your chosen text, and sew another piece of fleece to the back in your chosen backing colour. Choose from soft pink, pale blue, or ivory beige. Create a personalised baby changing mat for new proud parents. Choice of 3 backing and trim colours, made with soft fleece and waterproof back. Personalised bibs in pack of 3, 6, or 9. Customise with photos, images and text. Perfect for gifts for the little ones.